1. How can I make a reservation with Europcar Egypt? Send an e-mail to reservations@europcar-egypt.com including your rental requirements and contact details and reservation team will get back to you. Walk into the rental station and make your reservation. 2. Do I need to have a credit card in order to make a reservation with Europcar? Yes, having a credit card is a must. 3. Can I make a reservation online and pay in the rental station on time of pick up? Yes you can make online reservation on Europcar website www.euoropcar.com.eg And pay on time of pick up via credit card in the station. 4. Can I make a reservation over the phone? 5. Can I make a reservation for someone else? No, because the car should be picked up by the credit card holder who previously made the reservation. 6. 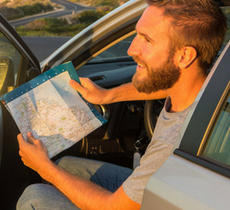 What are the documents required to make a reservation from Europcar? You need to present a valid driving license (international driving license for non-Egyptians), a passport or an ID and a credit card. 7. Can I use the car all over Egypt or in certain governorates? Yes, you can use the car anywhere within the Egyptian borders. 8. Do I get discounts if I rent from Europcar Egypt frequently? 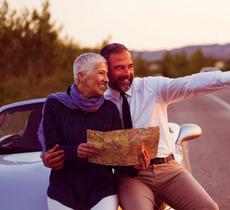 Definitely yes, all you will need to do is to apply for a free Europcar Privilege card after your 1st rental and you will get much more than a discount. 9. Can I make a reservation through your partners’ websites? 10. Can I cancel a reservation after confirming it? Cancellation is possible on the condition that it takes place before the rental start date. To cancel a confirmed reservation visit information & services tab. If cancellation took place during the rental period there will be a 1 day rental cancellation penalty applied. 11. What happens if I had an accident during my rental period? In case of accident, please contact the rental station immediately and our team in the rental station will provide you with a replacement car. Kindly note that you will be charged the excess insurance amount blocked on your card at the time of payment and the amount will be charged according to the severity of the damage caused. 12. How would I know that my reservation is confirmed? You will receive a voucher including all of your reservation information via e-mail. 13. Will my money be refunded if I canceled my reservation? Yes, the money will be refunded within 14 working days if the cancellation happened before the first day of the rental. 14. Can I extend my reservation during my rental period? Yes, it is possible, all you will need to do is to contact rental station. However, the extension will be subject to car availability. 15. Is there a limit for the rental period? No, there is no limit for the rental period. 16. Can I shorten after booking a certain period? Yes, you can, but still there will be 1 day penalty applied. 1. Are your rates based on the country I book from? Yes, just choose the place you are booking from. 2. Are your rates based on the period I book or depending on daily based rates? 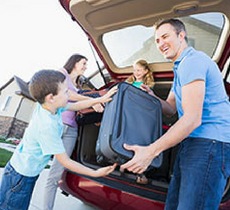 Europcar rates are based on the overall booked period. 3. Do you have seasonal discounts? Yes, our rates are based on seasonality. 4. Can I get a copy from my invoice? 5. How is my car rental rate calculated? 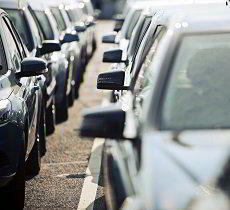 Based on the period of booking, the country you are booking from and the vehicle category. 6. Are the rates on your website including taxes? No taxes will be applied. 7. What is the limit of miles that Europcar Egypt offers? 1. What is the privilege card that I found on your website? It is a loyalty card membership which you can request to have after your first rental. 2. How do I get your privilege card? Just apply for it from our website after your first rental. 3. Does the privilege card cost me anything to get? No it’s free of charge. 4. Does the privilege card expire? Yes it has an expiry date. 5. Does the privilege card work for certain locations? No, it works within all Europcar network worldwide. 6. What is the privilege club? It is the loyalty card membership you apply for to get discounts from Europcar as well as its partners. You will also be able to get a free weekend on the 3rd rental as well as a coupon with 10 Euros on the 2nd rental. 7. What is the privilege executive? It is an upgrade for the privilege club card and you can take it after 10 rentals or 40 rental days. You will also be able to get a free weekend on the 3rd rental as well as a coupon with 20 Euros on the 5th rental. Also, a free upgrade to the rental vehicle will be granted. 8. What is the privilege elite? It is an upgrade for your Privilege card executive and you can get it after 25 rentals or 85 rental days and over. You will also be able to get a free weekend on the 3rd rental as well as a coupon with 30 Euros on the 5th rental. Also, a free double upgrade to the rental vehicle will be granted as well as a free driver. 1. Can you deliver the car for me? Yes we can deliver it to any place you want, but this will be free in Town within 20Km, additional KM amount $1.5. 2. Can you pick the car from somewhere else other than rental stations, if I cannot return it back to the station? Yes we can, but you have to check the availability with the rental station. 3. Can I return the car to other station rather than the one I picked the car from? Yes, but you will have to check with the station as there will be extra charges to pay. 1. 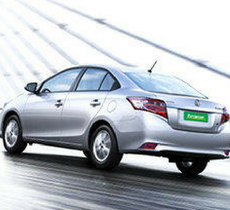 Does Europcar Egypt provide car with a driver service? Yes, but you will need to send the customer service an inquiry in order to advise you how much it will cost. 2. 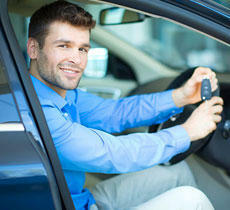 Can I book car with a driver even if I do not have a driving license? 3. Can I book additional extra equipment? 4. Can I book the extra equipment online? Yes, you will have the option to add extras after booking your car. 5. Is it possible to add the extra equipment to my reservation while picking up my car in the rental station? Yes definitely you can, however it would be subject to availability. 6. Does Europcar Egypt provide child seats among the extra equipment available? 7. Can somebody else other than the person who made the reservation drive the car during the rental period? Yes, however, this should be communicated with the station and is provided as an extra paid service which is called extra driver service. 8. Does Europcar Egypt provide GPS navigator with the cars? Yes we do, but you will have to add it as an extra paid service to your reservation. 1. Can I choose the make & model of the car I’m renting? 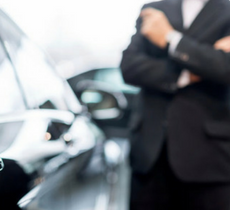 You can choose the category, but regarding the make & model you will need to contact rental pick up station to check the availability of a certain car model. 2. Can I choose the color of the car I am renting? No, but still you can contact the pick-up rental station and check a specific car color availability. 3. 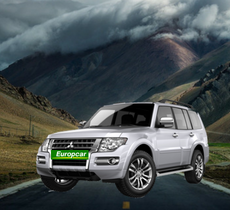 Does Europcar Egypt provide 4 x4 cars? 4. 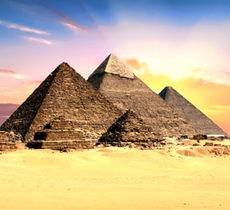 Does Europcar Egypt provide 7 passenger cars?